I love Christmas traditions there is something about having a child that makes Christmas all the more special, don't you think? I wanted to share with you today some of our favourite traditions and hopefully inspire you to do some too. This is something that Stuart and I did every year until we had Blake has he is noise sensitive. However as he gets older we will start taking him and I feel it's a great tradition to start off the festive season. We always try and decorate our home on either the 1st of December or on the first Saturday in December so that we can do it all together. I like to try and do a few festive crafts such as making cards for the grandparents. I'm starting this one with Blake this year of course he is too little to write himself so I will be helping. Nothing better than crashing out in the evenings/at weekend on the sofa with a good Christmas film on. I started this tradition for Blake's second Christmas, we get the same books out each year and read them together. Last year I did a sensory tuff tray with Christmas decorations for Blake to play with. This year I have some little fake snow for him to play with. This is something we plan to do in a few years time hopefully as not sure how Blake would cope with it. I love doing this tradition it's definitely my favourite to do. You can see here what I put in Blake's last year to get an idea. I am planning on doing a separate post on all of our Christmas Eve traditions to give you more of an idea of what we get up to. My latest blog post is about Christmas too!!! 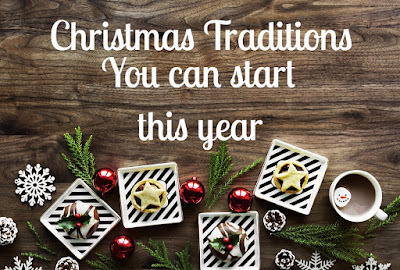 Some great traditions here, I'm definitely hoping to get Christmas biscuit baking some time!!! Nice post, I used to love seeing the Xmas lights but it's so packed nowadays and I get claustrophobic so I just admire them when it's a normal day. Christmas Movies is one of my big traditions. Everything from Gremlins to Die Hard gets watched in our house! I love going to Christmas light switch-ons, they're so much fun! Christmas movies are an essential, I love watching ELF every year hehe! I'm determined to find a nice Christmas novel to get lost in this festive season! I love Christmas traditions! Decorating the tree with mulled wine and christmas records then settling down to watch Gremlins is my absolute favourite festive thing to do. I love these and I have written some down too because I am currently mapping out our December! Eeek, cannot wait! Love these. I'm starting the Christmas Eve box this year, and then adding more traditions as my daughter gets older. Sharing will be great for the upcoming Christmas. I will save it in my submission. We've just done letters to Santa for the first time - now I just need to remember to post them! Some great ideas on what to do over Christmas Joanna. I miss mine being little and visiting Santa. So many great memories. I love having family Christmas traditions. We always have a Christmas Eve buffet in front of a movie, then read Twas The Night Before Christmas before bed. Just perfect! Great Ideas...who doesn't love a Christmas film and some hot chocolate. gets you in the festive spirit! Christmas Baking, like fruit cakes for giveaways is one of our traditions. And the most that being enjoyed by everyone is the gift-giving. We have just booked tickets to the local pantomime - I think I enjoy it as much as the kids!! I love Xmas traditions but unfortunately have to skip them this year :( A bit sad about it but sometimes work comes first. I think Christmas music is the only one I can enjoy this season. These are some really great traditions that you have. I do not celebrate Christmas but I have some traditions that my husband and I try to follow on Diwali. Christmas traditions are a must for our family, I want to instill in my children's minds how important family is. I love all of your ideas and will hope to be trying a few of them out! 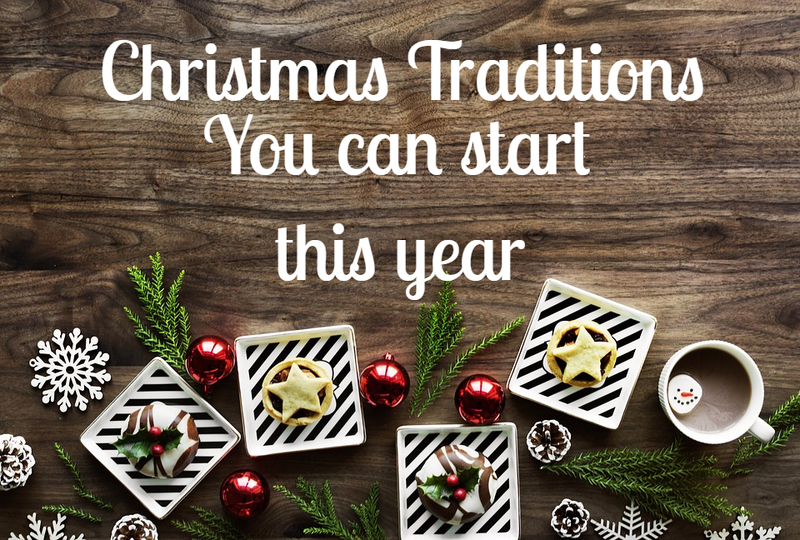 I love Christmas traditions and I am trying to create new ones for our family. We have a toddler now and want to try new and different things that will hopefully become tradition. We just went to our local Christmas light switch on last night. great to outing for the whole family. Oh this is such a great list! We do some of this. And will try the rest. Thanks for sharing. Making new family traditions is one of the most special things about Christmas. What a lovely list!